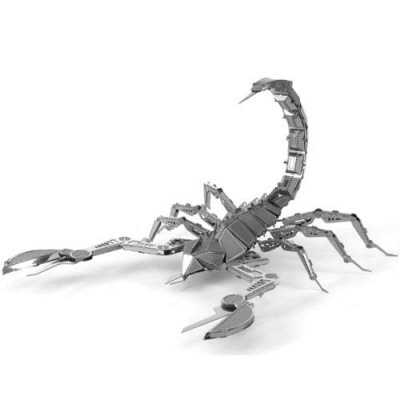 Beware of the poison tail of the scorpion. 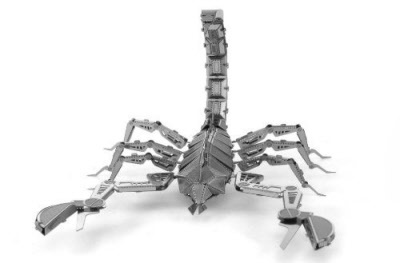 Build your own Metal Earth scorpion kit. 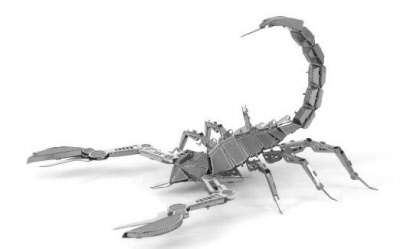 Fascinations has come out with a great 3D Laser Cut Model of the Scorpion. Start out with a 4 inch metal sheet is completely flat. 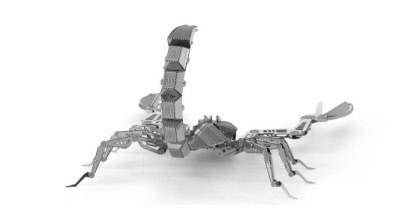 Pop out the pieces and assemble and in the end you will have a stunning model of the creature depicted. Each unit comes with instructions that are very simple to follow. Have fun building a full collection today.